In partnership with BioCon Valley in Leuven, Belgium, benefit of a 1-hour free regulatory affairs check-up. Information and registration here. 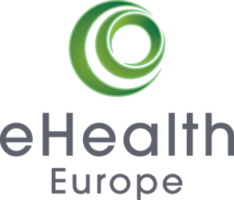 The MedTech Forum is one of the largest health and medical technology industry conferences in Europe and a key event since 2007. Join us and meet industry leaders, leading innovators and investors to discuss the future opportunities in the medical technology sector. Information and registration here. 1-day symposium in Montreux, Switzerland, dedicated to the logistics and purchasing departments of clinics and hospitals. Michael Maier will present medical devices supply challenges due to the new MDR. Program and registration here. Medidee will provide insights about how to innovate within the new regulatory environment. This event organized by BioCon Valley in partnership with IHK Neubrandenburg will take place at the BioTechnikum Greifswald. Registration here. This conference will focus on Digital technologies in healthcare and is dedicated to start-ups. Join the conference and meet us at Medidee’s booth for a free regulatory affairs check-up. Program and registration here.